Lately I can't get enough of gold jewelry. Its all I have been wearing. Then I came across this adorable line of jewelry and I fell in love with their pieces. 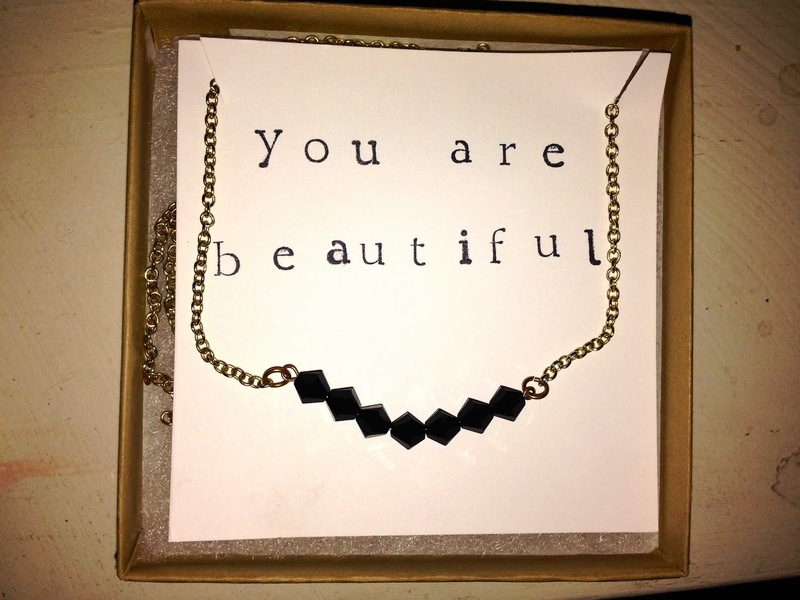 Besides necklaces Compliment makes a wide variety of jewelry all packaged with a compliment. They have earrings, bracelets, ring & even stationary...& it's seriously so freaking adorable. They are the perfect gifts for the upcoming holiday season. The necklace I got is called the Kindness Necklace & you get to chose what type of jewel or bead you want. Of course I picked black but I seriously loved all the colors to chose from. I really liked wearing this necklace with some other gold necklaces I have to create a layered effect. 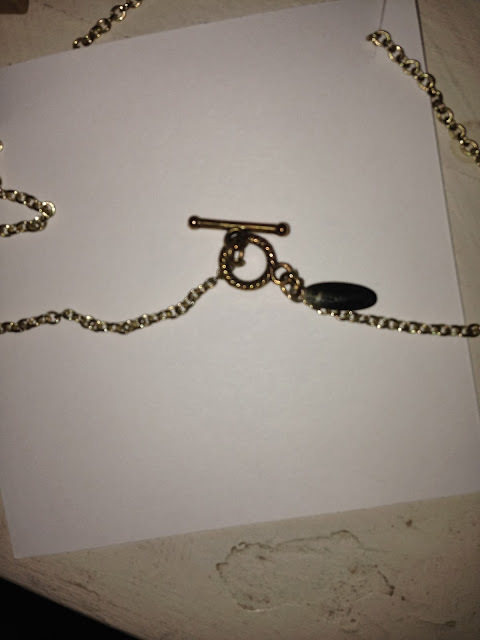 It has a really good length and spices up my plain gold chains I paired it with. And because today is your lucky day Compliment is giving away one of the Kindness Necklaces with your choice of color jewels to one lucky messy reader!! & seriously consider purchasing something for someone you love from Compliment for the upcoming holiday season..it will brighten their day! & before I go the winner of the Lincoln Street Boutique Giveaway is Samantha George!!! Congrats girl!! Have a wonderful Thanksgiving holiday. I am off to Maui for a week so see you when I get back! I love this! This is too cute! Such a great idea! Beautiful jewelry and adorable packaging! They are really pretty, thanks for the giveaway Kel! Love that necklace and wished I was in Maui with you! The accessories are cute! Love the necklace. Love this necklace, I'll definitely be checking out this site! And luckkkky you're going/went to Maui! I'm guessing you're back now since this post is from a couple weeks ago, did you spend Thanksgiving there? My dads family is all in Oahu, I miss it so much, we're going this summer! I hope you had a wonderful time and a great Thanksgiving!